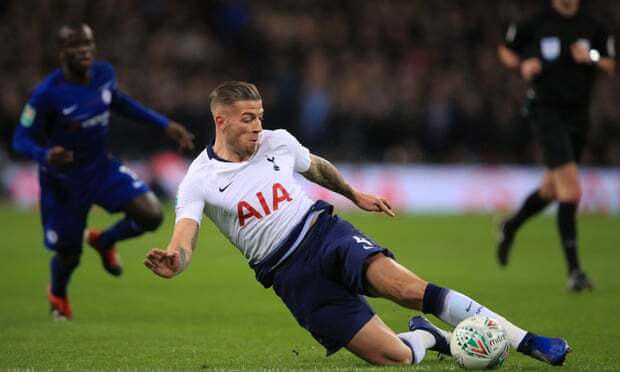 Tottenham ace Toby Alderweireld spoke to reporters after his side's win over Chelsea on Tuesday night, and insisted he is happy to stay with the club for at least another year, after the north London outfit activated a 12-month extension on his previous contract, as quoted by the Daily Mail. The centre-back's deal now runs until the summer of 2020, but by excessing the option to extend for another year, Spurs have left themselves open to offers for the Belgian, with a £27million (N12.6billion) buy-out clause now activated. I am very happy to stay another year, It was in my contract and I'm happy Spurs gave me the confidence to stay another year.